Can Rogue IT Change Your Business For The Better? If you’ve been spending a lot of time worrying about rogue IT within your company, you may be forgiven. By definition, rogue IT implies the use of other devices on the company’s Wi-Fi connection. Employees generally like to use their smartphones and tablets at the office since they present a convenient way of accessing the internet regardless of their location. A lot of people generally assume that rogue IT compromises the productivity of their employees. The truth about rogue IT, however, is that it actually increases productivity in the office. Whether your employees are allowed some privacy on their work computers or not, a personal device is often considered as more private. This explains why they are likely to enjoy working with their smartphones and tablets more than on the desktop. They can multitask while using these devices, meaning that they will be working while also engaging in personal matters. An employee may not be comfortable logging in to their personal cloud accounts from a work computer. They, however use these cloud accounts to store information which could be relevant to their work. This means that they need to be able to access private accounts even while at work. With the smartphone, they can easily download the files that they need and transfer to the work PC. From an employer’s perspective, the employees will be able to work even while out of the office and then transfer their work from the cloud through their personal devices. This generally makes their work easier on all counts. The IT department generally likes to be able to control everything within the organization. They, however cannot claim to be able to protect the company from every risk. This means that using different third party devices and applications implies that the company will have diversity in their IT components. The company may be using the cloud services from one company, while a given employee uses a personal cloud account from a different provider. Diversity in this case should be considered as mitigation against any challenges in cyber security. The fact that each employee will be able to save their work on their personal cloud accounts implies that the company can survive a malfunction in their main cloud account. If you have a subscription for a particular cloud account and IT applications and most of your employees use something different, you should be interested in finding out why. People often try to get the best in terms of personal IT services and applications. This means that if you embrace rogue IT you will be able to evaluate your options and make all the necessary changes based on the preferences observed in your employees. 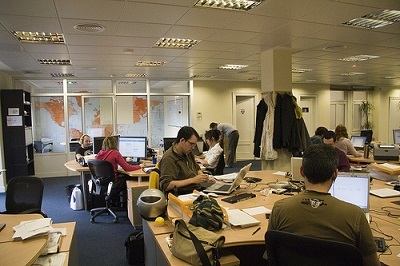 Employees generally appreciate some freedom at the work place and their ability to use the company’s internet on their devices is seen as freedom. They are thus much happier if you allow them to use their devices on the company’s connection. Happier employees generally imply better performance, which then translates into a highly productive organization. 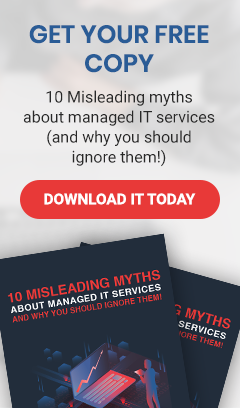 So next time you think about discouraging the use of rogue IT within your company, consider that you may not exactly have the IT processes and one way of ensuring you understand this is by checking out what your employees are using. Your IT department is currently limited to tactical work, leaving the employees to make their own choices regarding how they use the internet and which applications work for them. To find out more on how you can make rogue IT work in your favor while enjoying the best cloud services in San Jose, do talk to us today.